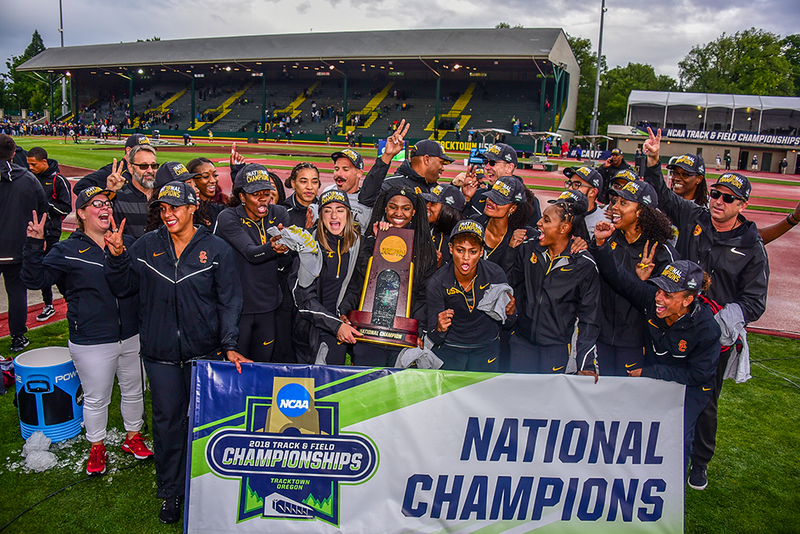 USC WON LAST YEAR’S NCAA women’s team title by the smallest margin ever, a single point. This year Caryl Smith Gilbert’s Trojans are looking like a powerhouse that could rank among the biggest margins ever. The SoCal crew projects as 30-point faves in the year’s first crystal-balling. That would be the biggest margin since LSU won by 43 in ’94. The biggest margin ever was the 49 racked up by the ’89 Tiger squad. Field eventers or distance runners? Don’t need ’em: the sprint/hurdle-strong Trojans are projected to score with a 1 in the 100, 4-5 in the 200, 1-4 in the 400, 1-7 in the 100H, 1 in the 400H, 2 in the 4×1 and 1 in the climactic 4×4. And a cautionary note for the future: only 1 of the 8 projected USC individual scorers is a senior. 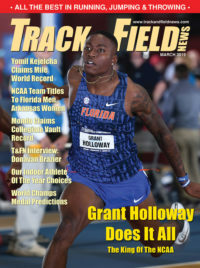 Next: Next post: 2019 NCAA Men’s Formchart #1 — Another Trophy For Florida?